You have spent the day in the garden, you have cut back the trees and shrubs and now you have got a pile that is more like a small mountain! What are you going to do with it? The Man with a Van to the rescue! 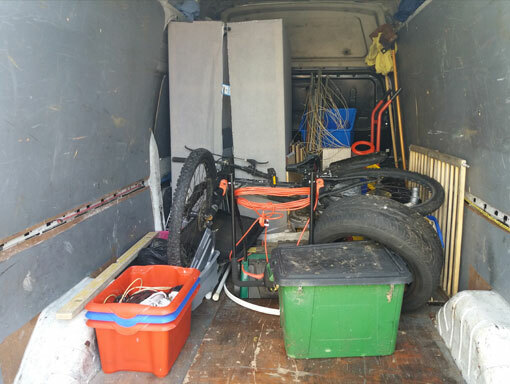 I can pop round in the van, load up all of that waste and transport it over to the waste recycling centre and dispose of it legally and efficiently for you. You do not need to figure out how to fold down those seats to be able to get it in the back of the car and make multiple trips, I will do it for you. 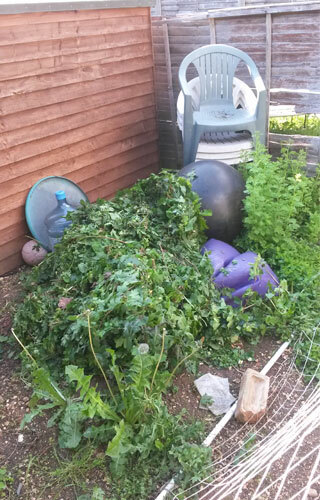 I have a waste carriers license from the Environment Agency (I carry it with me and are more than happy to show it to you) so you know that your garden waste is disposed of properly and legally. You will not end up as one of those features on the news where some poor householder has been in court because they paid some bloke from down the pub a few quid to get rid of their rubbish. Did you know you can check if someone has a valid Waste Carriers Licence on the Environment Agency’s website here. The cost of disposal depends on what type of waste it is. The local authority charge different amounts to dispose of different types of waste. 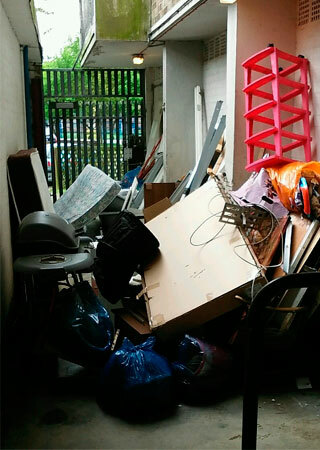 I will be charged to dispose of your waste, so we will quote according to your job requirements. I can also carry out house clearances perhaps from tenants moving on and leaving items or after the loss of a family member. Once you have removed or identified anything you would like to keep, I will then clear the rest of the house, disposing of it correctly. I am happy to remove the items you wish to keep and deliver them to another address for you. I can quote this as an additional job. One of our most common requests is to take old items to the local tip. You can be sure your items will be taken to the local authority tip at Redbridge, Oxford and disposed of properly by The Man with a Van. We don’t fly tip your items! Please get in touch for a quote to dispose of your items. Jobs will be priced by appointment.